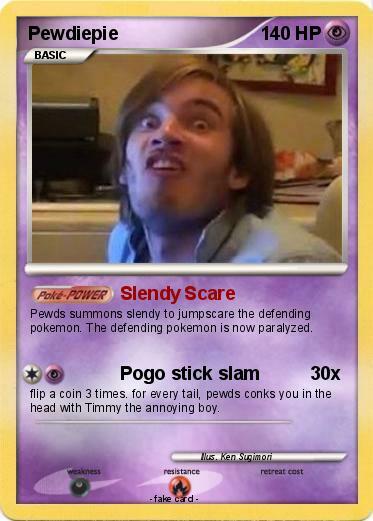 Pewds summons slendy to jumpscare the defending pokemon. The defending pokemon is now paralyzed. flip a coin 3 times. for every tail, pewds conks you in the head with Timmy the annoying boy.